Combine ingredients A with a hand whisk, whisk until sugar melt. Whipe ingredients B until stiff peak form. keep the remaining (2) in a fridge. paper, then simply pipe irregular quadrilateral shapes. whipped egg whites from fridge and fold into the batter in 3 batches. baking paper, transfer the cake from the baking pan and leave to cool. paper, transfer to the fridge for 1-2 hours until the cake remain its shape. 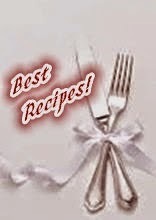 I'm joining Best Recipes for Everyone June 2015 Event Theme: Secret of Chiffon and Roll Cake hosted by Fion of XuanHom's Mom. This post is linked to the event Little Thumbs Up (June 2015 Event: Cream) , organized by Zoe (Bake For Happy Kids) and Mui Mui (My Little Favourite DIY), hosted by Diana (The Domestic Goddess Wannabe). Wow!! This is beautiful! So so beautiful!